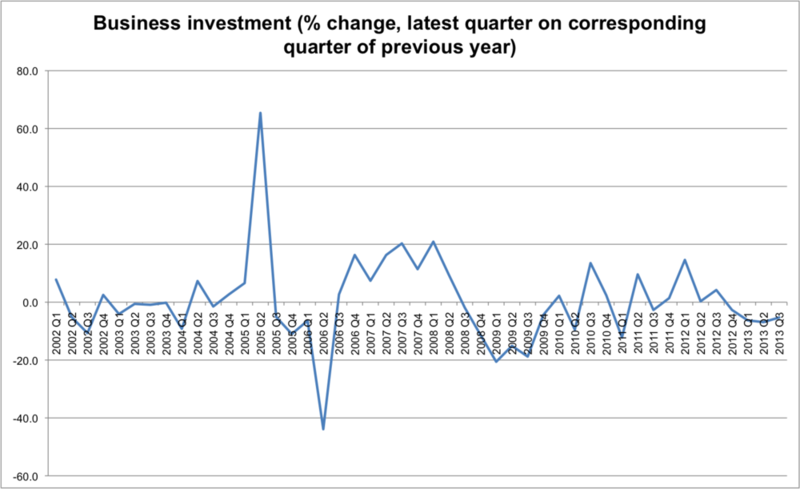 What's happening with business investment? On January 1st the FT published a survey of several economics commentators. It's an interesting read and worth spending some time on. One thing that many people mentioned was the role of business investment. 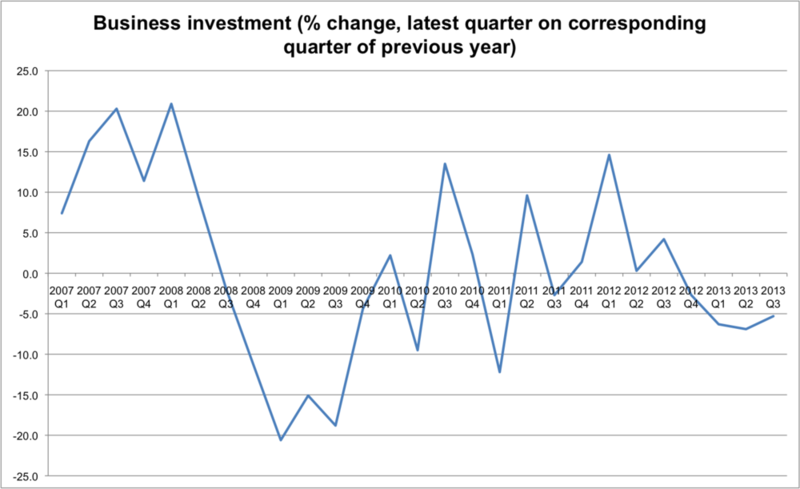 The general consensus seems to be that business investment is expected to pick up again in mid 2014, and this is necessary for a sustained recovery. 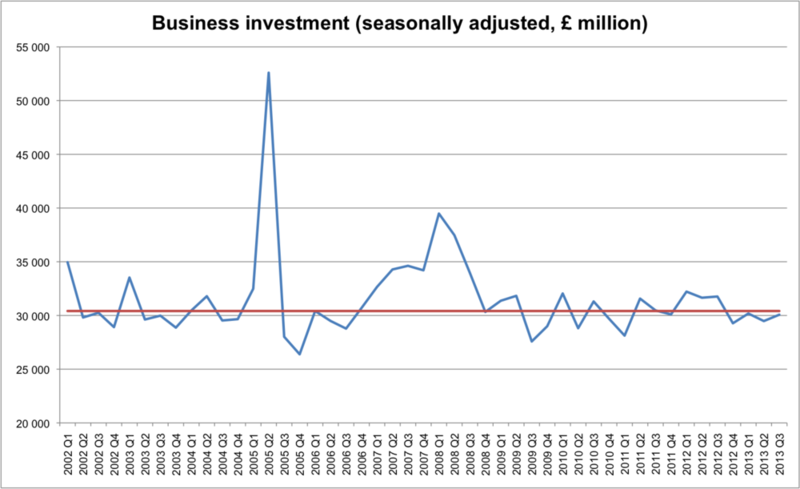 I've been attempting to update the "private investment" indicator that Kaleidic Economics publishes, and trying to come to terms with changes in how the ONS report the data. I'm a bit confused, and will look at it again later. But in the meantime I thought I would just focus on business investment alone. The dramatic decline in 2009 is evident, as is a spluttering rebound with recent figures being very weak. 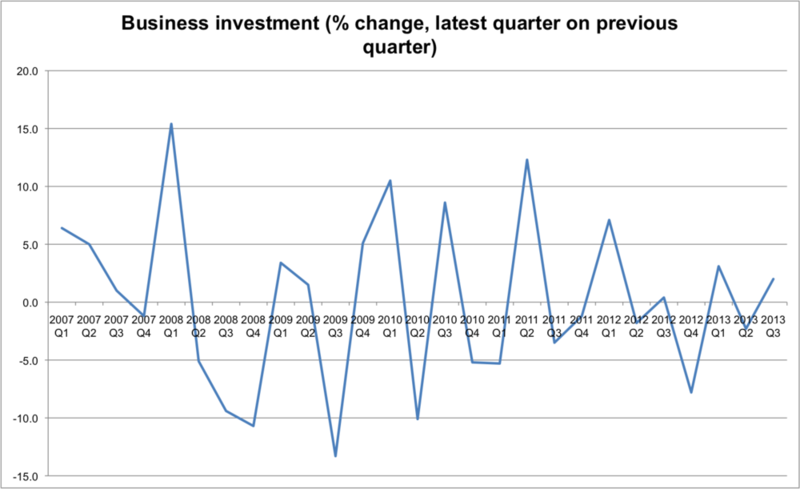 Perhaps the slight upturn we see in Q3 2013, together with more optimistic GDP forecasts for early 2014, will result in increased business investment. But what constitutes a normal rate? The chart below takes it back to 2002. It isn't clear what an appropriate growth rate should be, for a balanced economy. Indeed the chart below shows the absolute numbers, with the red line denoting the median level. So what are we waiting for?